You want to see people break free from systemic poverty and establish thriving families, businesses and communities. That’s why we’ve been working in Gonaives Haiti since 2010. We have learned that people caught in poverty are best served when presented with opportunities to realize their abilities and earn a living by their own hands, breaking cycles of dependence. Donate today and become part of the team of partners that are creating opportunities and removing barriers for marginalized people. 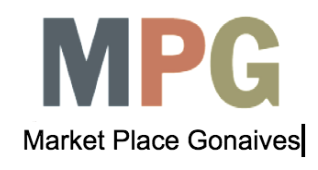 Market Place Gonaives needs your help to become a financially self-sustaining catalyst for economic change in the city. A game changer! It is the renovation of the old Match Factory becoming a vibrant multi-business complex, and so much more! 2nd Story Goods is proof that meaningful work, opportunity for advancement and accountability leads to dignity. 100+ artisans and management earn a living wage by creating beautiful goods and sell them nationally and internationally. In it's 7th year with sales surpassing $400K, 2nd Story Goods sees community transformation, as individuals and families move from a posture of poverty to lives of thriving. This culture-shifting training program helps individuals and businesses break personal and cultural habits that have become obstacles to success. 10 certified trainers & over 200 certified graduates are having notable influence in the city!